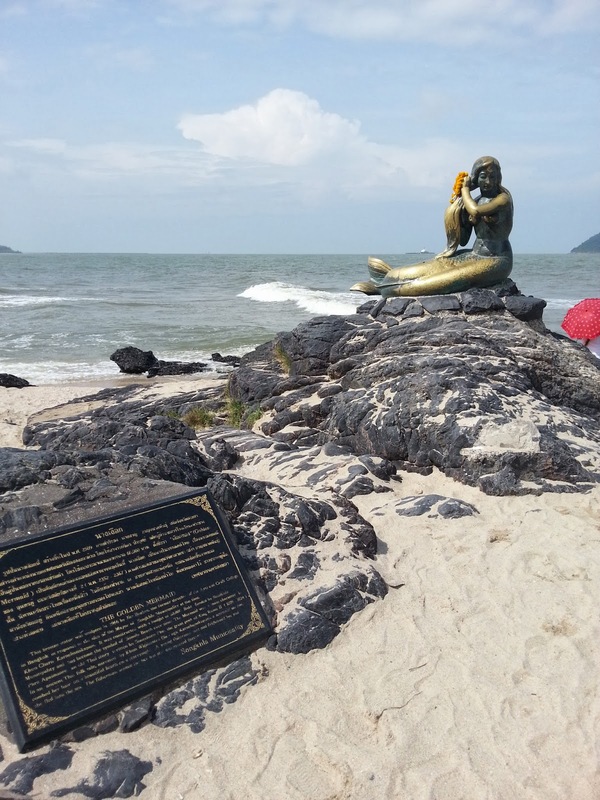 Samila Beach Hatyai is where you find the Golden Mermaid Statue on the sandy white beach. 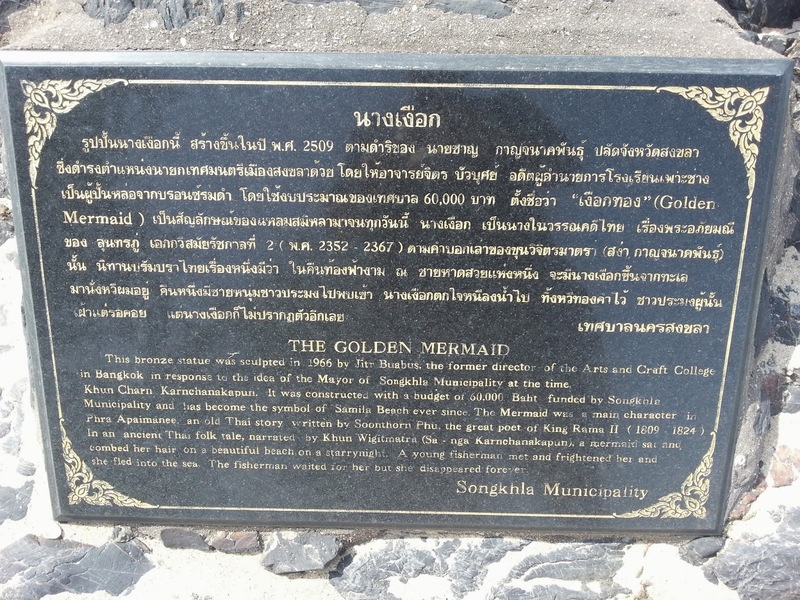 I read some articles with the believing of touching the Golden Mermaid will bring you love luck. The sun is high on the sky going by this noon time. Apart from the landmark of the Golden Mermaid, I find this is rather a peaceful beach with the warm weather. There's no wave can be seen from the sea, the long strecth sandy beach is rather smooth, clean & clear beach with not many people, the earth line of the sky and ocean is straight..... Peaceful felt of place. Most people only think of the most famous mermaid statue in Copenhagen, Denmark. 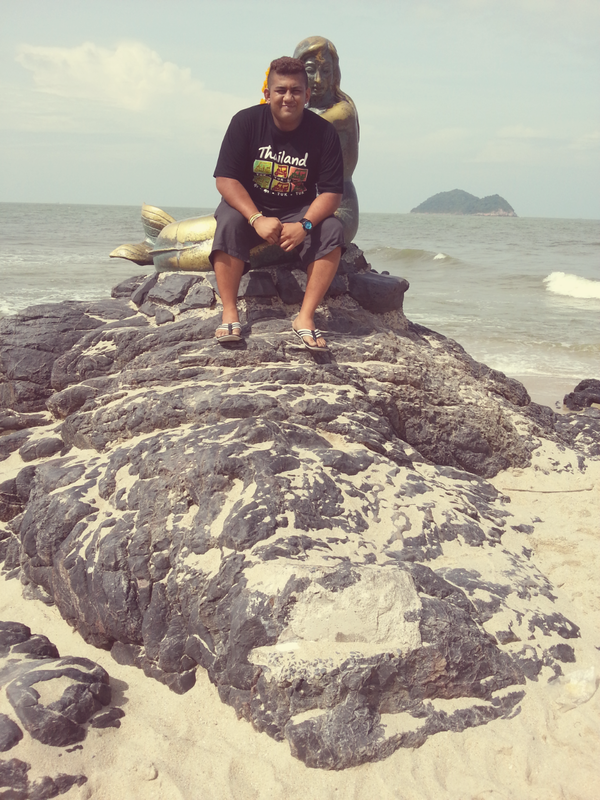 However, there is another one situated at the Samila Beach, Songkhla, Thailand. The tale about the mermaid in Songkhla from Thai folktales said that in old days a mermaid appeared sitting and combing hair on the beach with her golden comb. One day a fisherman was passing by and frightened the mermaid to escape into the sea and left her golden comb on the beach. The fisherman waited around there day-after-day, hoping to return the comb back to her, but she never appeared again. 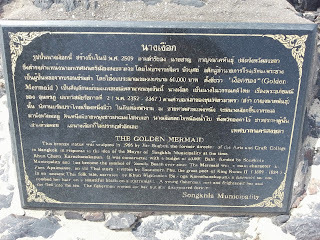 In consequence of the folktale, the Golden Mermaid Statue was then built in B.E. 2509 (1966) in the action of combing her hair and name her “Golden Mermaid” on the advice of “Khun Wijit Matra (Sa-nga Karnjanarkkhapanth)”. It is a bronze statue and was designed and molded by Jit Buabut (who is now Prof. Dr. Prakit Buabut), the then director of Pho-Chang College (Rajamangala Institute of Technology, Pho-Chang Campus). It cost 60,000 Baht to finish it. 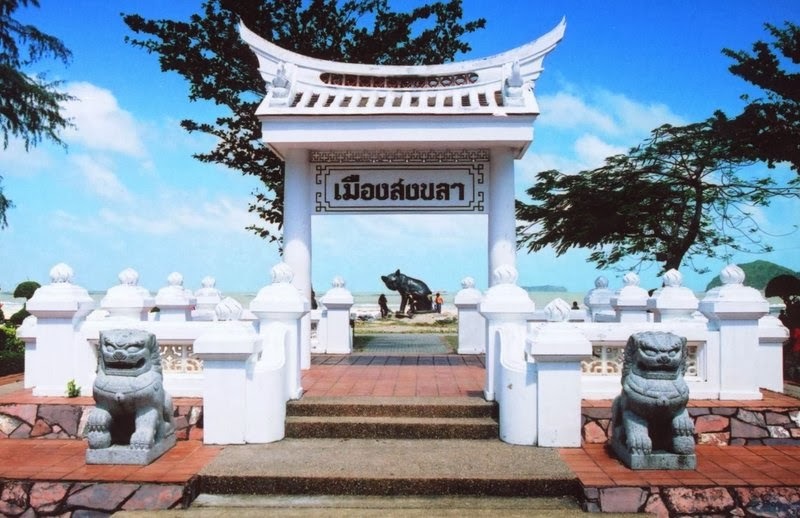 Taken to establish at the Samila Beach as it completely finished, it is the famous symbol of Songkhla and the well-known tourist spot since then.